What if there was one special ingredient that immensely improved your hiring process — something that revealed issues making your talent acquisition strategy less effective, a tool that reduced waste when finding great employees? Wouldn’t you want to know about it? Great news! It is not a secret. That missing piece is cost-per-hire. While most HR professionals know what the metric is, many underestimate its importance. In fact, our latest report, Making the Most of Your Hiring Budget: The Problems that Are Leading to Waste, revealed nearly 1 in every 4 hiring professionals aren’t tracking cost-per-hire. When growing a company, chances are you don’t have a huge hiring budget at your disposal. In fact, our survey found more than a quarter of respondents have less than $5,000 a year with which to attract, recruit, evaluate, and hire new employees. An additional 26 percent of respondents don’t even know their annual budget. This becomes problematic when you look at the average cost-per-hire. In fact, 22 percent of companies report a cost-per-hire of $1,000-$2,000. And 13 percent of respondents’ spend $2,001-$3,000 per hire. At that rate, just a few hires a year would completely exhaust a $5,000 hiring budget. If you’re trying to grow your company quickly, you need to lower cost-per-hire. But there’s no way to develop a more affordable hiring system if you’re not tracking the metric. As soon as you begin tracking cost-per-hire, start making small adjustments to your hiring process and record how the changes make an impact. For example, try using a one-way video interview screen earlier in your hiring process. This allows you to advance the best candidates more quickly, spending less time and resources filling the role. 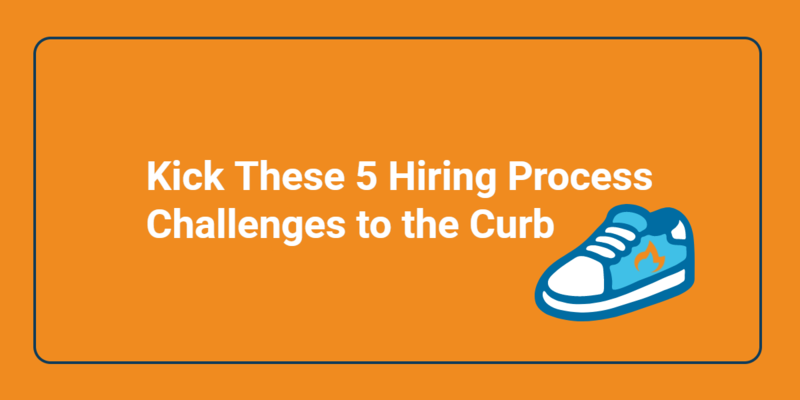 Repeating this strategy over various phases of the hiring process helps you refine your process so it becomes more affordable. It’s not enough to simply track cost-per-hire, everyone involved in the hiring process needs to have access to that information. Looking at the data from our survey, hiring managers were more likely to say they had no knowledge of cost-per-hire (29 percent) compared to company executives (12 percent). At first glance, it might seem there’s no reason for hiring managers to know details about cost-per-hire. But it’s their actions that are more likely to impact the metric. These are the people who are using the tools and making decisions. Without information about cost-per-hire, they can’t see what areas they must work to improve. For example, a hiring manager may say they like to “sleep on it” before making a decision about who to hire. In their mind, they’re being extra careful and confident in their choice. But waiting one more day to make the decision official wastes money in the strain it puts on the team with an open position. By knowing cost-per-hire metrics, the hiring manager can adjust their behavior, especially if the extra time rarely changes their mind. 29% of hiring managers have no information about their cost-per-hire. Don’t let this hurt your #hiringprocess. Have discussion sessions with hiring managers to go over cost-per-hire. If there’s a significant change in the metric, ask each team member to explain what they did differently. This will help everyone see what new strategies to try and which ones to change. A close friend of cost-per-hire is return on investment (ROI). Tracking ROI shows if the money you’re spending is worthwhile. 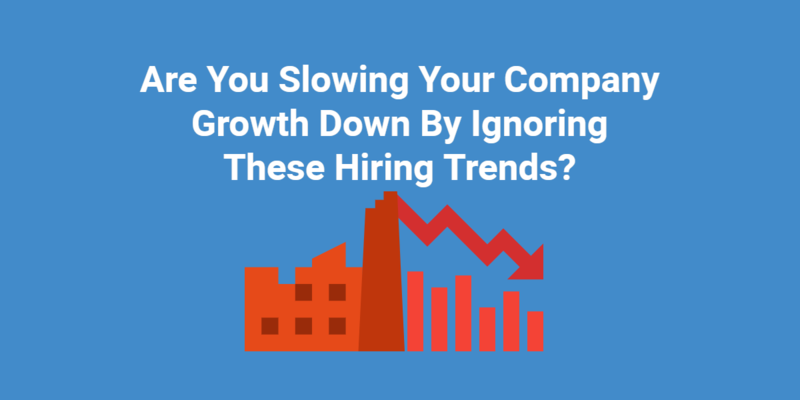 When a hiring trend or tool lowers your cost-per-hire, it proves it was a good buy. But if you’re not tracking either metric, you end up continuing to waste resources. In fact, 27 percent of respondents in our previously mentioned survey said the biggest obstacle they faced when trying to get new tools was their inability to prove ROI. Worse yet, when you’re losing money on ineffective tools, there’s less room in the budget to try new, better options that will, in turn, lower your cost-per-hire. In order to increase the effectiveness of your hiring budget, it’s imperative you track cost-per-hire to see where the ROI of your current tools has the greatest and least impact. This will give you the ammo you need to get approval for replacement resources when necessary. Seek to test out hiring tools at low costs with no long-term contracts. This small investment encourages your team to make proper use of the tool to truly gauge whether or not a new hiring tool is worthwhile for your hiring process.